Recipe Featured by Kestrel Growth Brands, Inc. 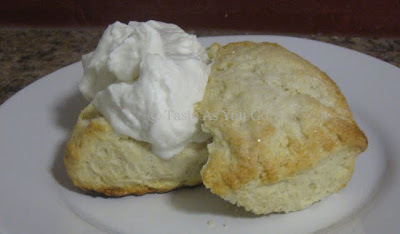 Remember these beautiful Pomegranate Vanilla Scones with Pomegranate Whipped Cream? Remember how I included Singing Dog Vanilla Bean Paste in the recipe? Well, not too long after I posted the recipe on Taste As You Go, I received an email from the CEO of Kestrel Growth Brands, Inc. informing me that they wanted to feature my recipe on their website! Kestrel Growth Brands, Inc. "actively seeks out family farmers around the world that are growing unique, quality products in a sustainable manner [and] then introduce[s] these products to chefs and bakers under a brand that represents the quality and tells the story behind the farms or region in which they are grown." Right now, Kestrel Growth Brands, Inc. includes Singing Dog Vanilla, Red Ape Cinnamon, and the Pohnpei Pepper Company. Read more about Kestrel Growth Brands, Inc. and then check out my recipe for Pomegranate Vanilla Scones with Pomegranate Whipped Cream in their collection of recipes featuring their vanilla products!